Is There Such A Thing As The Perfect Wedding Day? Most brides hope that they’ll have the most perfect wedding day. However, many people who have done it will tell you not to set yourself up for disappointment. Your wedding day probably won’t be the best day of your life. If you have unrealistic expectations for it, you’ll end up feeling bad about your day and compare it to every other wedding in the world. Of course you’ll make some incredible memories with important people. But thinking it’s going to be perfect is probably going to cause problems. Although you might not have the ‘perfect’ day, the following tips might help you. Try not to overthink things that aren’t going to matter that much. Will anybody really appreciate being given a bag of sugared almonds? There are so many things that go into a wedding, and some of them don’t make much of a difference at all. Make sure you focus on the things that really matter to you to have the best time. By getting someone to help you plan, you’ll get an outside perspective and be able to avoid getting too stressed over it all. Look at local wedding planners, whether you’re having a wedding at home or a destination wedding. 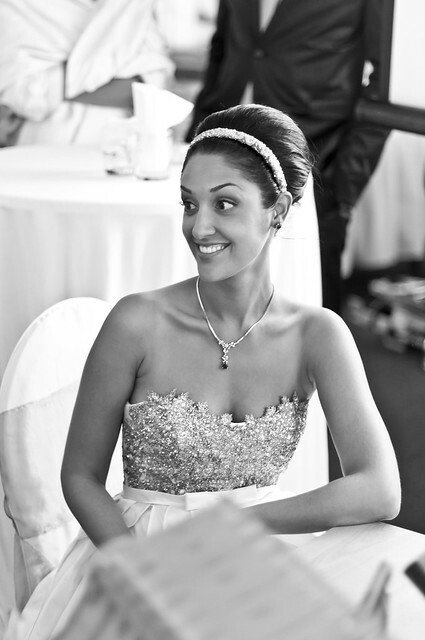 They are experienced in this area and will know exactly how to bring your dream wedding to life. By releasing all of the expectations you might have of the big day, you’ll have a better time. Holding on too tightly to ‘perfection’ will only set you up for disappointment. Enjoy your day, whatever happens! Living in the moment can be difficult for most people. We’re all far too concerned with the future and things that could go wrong. Live in the moment instead, focusing only on what’s right in front of you. The more you do this, the better you’ll feel during your day, and the better your memories of it will be. If you find yourself worrying or your thoughts going out of the moment, gently bring yourself back to it by breathing deeply and focusing on what’s going on. It’ll help if you don’t get too drunk, either. You don’t want to wake up in the morning with memory loss! Think about what’s really important to you and make a list of priorities. For instance, maybe you want the perfect playlist, or to make a great speech. Just focus on those things. If anything else doesn’t go to plan, there’s no need to worry. You will have made sure your priorities were taken care of. As you can tell, there isn’t usually such as thing as the ‘perfect’ wedding day. However, that doesn’t mean you won’t have a wonderful day. Use these tips to plan your day as best you can and really take it all in on the day. Thanks for reading! As for the kitchen utensils. There’re a lot that we could choose from from the online stores even to the nearest mortar stores at the area. But on my opinion, you should have know what are the best utensil of appliances, perphas, that are useful on your end hence it can give convenient for you in the daily basis. 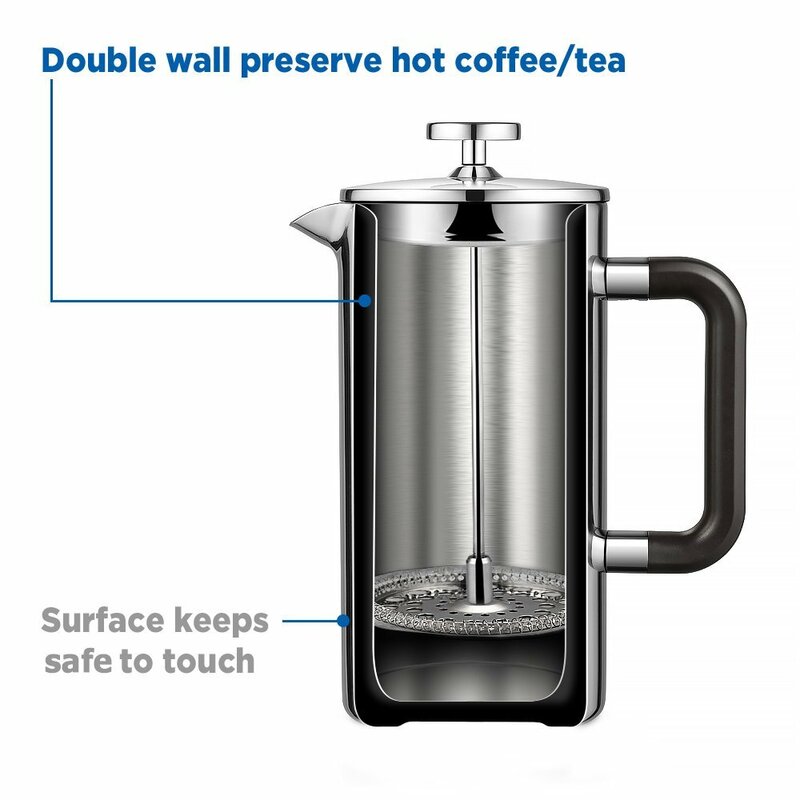 If you are asking me though, I have this one item in time that we, people, should have as this was a very essential appliance we can have which the coffee maker from the Ecooe.com. The coffee maker am telling was not the ordinary kind of coffee maker we know as the item was made over the stainless steels thus it made the whole pitcher a very handy and can bring out anywhere and everywhere you are, other uses this for their camping and even in their picnics, please do check the shop mentioned for you to see yourself on how great this pitcher is..
Ecooe stainless steel French Press is very reasonable and a must have for your kitchen because it does gives an convenient for you everyday as we got some of errands to do in very single day thus you should have an item, like this one, that can help you out to make life at ease.. The coffee maker has a double wall French Press which we usually see in the cafe that one produces the bwered coffee which we all want to smell because of the aroma of the coffee itself. Whether a Birthday Bash or Christmas Corker – These think-ahead steps will help you enjoy your party as much as your guests. Send invitations. These can be personalised to your theme as can matching custom thank you notes to send to your more generous guest s after the event. Plan the menu – Assemble the recipes (choose only those that can be prepared in advance, perhaps even frozen, with just warming and assembling required on party day). Make a list of how far in advance each can be made, and compile a shopping list. Consider hiring a high school student or a professional to help with pre- or post party cleaning or to pass drinks or appetizers, replenish buffet food, tidy up, and generally take some weight off your shoulders. Come up with a playlist. The music should be upbeat and sufficient to last throughout the party. Do a first round of grocery shopping and cooking. Clean the house thoroughly. This way, you’ll need only a quick once-over before the party. Arrange the furniture as you’ll want it for the party, making sure that guests can move easily from one part of your house to another. Tuck away things that will be in the way, precious items that might get broken and any clutter. Figure out the lighting: Using low-wattage bulbs or candlelight will create the right mood. Make space in a closet and fill it with hangers. You could also choose a bed for coats or purchase an inexpensive portable garment rack. Set the tables/set up the buffet. Do as much prep (dicing, marinating, rinsing lettuce, etc.) as possible. Place chairs – Don’t worry about having enough seating for everyone; fewer seats will encourage mingling. One to two hours before – set out appetizers and snacks that won’t spoil. Wrap them tightly to ensure freshness; tear off the wrap when the first guest rings the doorbell. Finally – enjoy the fruits of your labour and PARTY ON! To build your personal style, you should first understand your body figure or know your specific body type. This important aspect will help you look your best in the clothes you wear. Take note that not all trends, designs, colors, and fabrics suit every figure. There’re five general body types namely Pear, Apple, Inverted Triangle, Hourglass, and Rectangle. Knowing your body type will enable you to correct and hide parts of your body so you can achieve a balanced silhouette. For women with a Pear shape, darker colors should be worn to slim the rear, hip, and thigh areas. She should opt for fabrics like cotton, polyester blends, and matte jersey and shouldn’t wear an all over pattern or print. If you have an Apple figure, choose colors that will make you look slim like black, brown, gray, and navy. Go for fabrics like cotton, matte jersey, and wool and don’t wear overly busy patterns or prints and instead choose subtle prints. The Inverted Triangle body shape is the most athletic-looking silhouette. Women with this figure have wide shoulders and lacks curves. Wear clothes that will draw attention away from your shoulder line and pick clothes that will make your thighs and hips look rounder and fuller. Those with an Hourglass figure can wear almost any color. It’s known as the most ideal body shape. But remember that white, light pink, cream, canary yellow, and baby blue make you look larger than you really are. Most prints and patterns look great on a woman with this figure. You would want to show off your curves with this figure so wear form-fitting fabrics like leather, spandex, and matte jersey. Rectangle-shaped women should wear bright colors to create the illusion of a bigger body. Wear bold prints and patterns. Furthermore, pick out clingy fabrics like silk and satin and stretchy material like spandex and cotton. Start shopping for the right clothes at House of Fraser. In business since 1849, their goal is to provide customers with the best clothes and accessories for both men and women as well as Homeware collections. They sell popular brands of women’s designer dresses, tops, coats and jackets, knitwear, jeans, skirts, swimwear, lingerie, shoes and boots, jewellery, and accessories. House of Fraser now delivers to over 150 countries with its first international store opening in 2013 in Abu Dhabi’s World Trade Center Mall. Look for items by shopping by department or shopping by brand. Everyone says that the day you get married should be the happiest day of your life. Thinking about it, it sounds like that should be true. What could be better than vowing to spend the rest of your life with the partner of your dreams, before having a lovely meal and huge party with your nearest and dearest? But the truth is that wedding days are often extremely stressful and you might be so busy worrying and hoping that all your plans go right that you forget to enjoy yourself. Here are some tips on how to plan your wedding so you can really enjoy your big day. No matter how organised you think you already are, you aren’t organised enough! Make a wedding binder and start a spreadsheet on Excel so you can see what exactly you’ve booked and what you’ve paid and what you still need to pay. You should also make a spreadsheet for your guests so you can see who’s RSVP’d, who’s coming to the ceremony, who’s coming to the evening event, and what food they’ve all ordered. Check out websites like ourstart.com to help you plan. 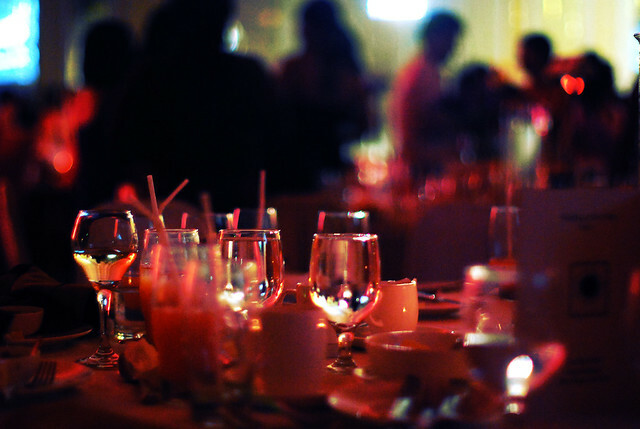 Without a guest list, you also don’t have a budget or any idea about how large you need your venue to be. Aside from the date, your guest list is the first thing that you should solidify with your husband to be. This means that you can see exactly how much money you have to spend and how much space you need in your venue. Trust your husband to be. What would be the point in marrying him if you couldn’t trust him to pay the venue deposit or to pick a wedding band? It’s very tempting to micromanage your wedding but the truth is that, for the sake of your own sanity, you need to trust other people to help you out too. During your engagement, the last thing you want to be feeling is that you’re starting to get cold feet. Your wedding will probably cost a lot of money as you start to put down more and more deposits and as your family and friends start to book plane tickets and hotel rooms so they can be part of your special day. That’s why you should discuss your future with your husband to be as soon as you can, particularly if you had a whirlwind romance. Finding out that you don’t have the same vision of your future together would be heartbreaking but it’s important to make sure that you’re on the same page about having children, about where to live, and what you want your future to be. Make sure that you know these things about your future spouse as soon as you can. Easier said than done, but do your best to make wedding planning fun! Take your husband to be cake tasting and enjoy it with him, go to a bar with your girlfriends after they’ve tried on their bridesmaid dresses, and take your mother to get her hair done when you’re looking for hairdressers. Try to make sure you really enjoy planning your wedding so that when your big day rolls around, you’re as excited as you possibly can be!